Jody Watley. Classic Harper’s Bazaar Fashion Feature. I believe I’m still a rebel in many ways — always on my own path no matter what. You can’t break new ground if you stay in the box. It’s common for artists to do fashion layouts now — in the early days of my solo career, it was not. I pushed to be in these magazine because my Mom always had fashion magazines in the house. I remember seeing Beverly Johnson, Iman and later Naomi Campbell. I wanted to do that – there was no black artist at the time who was being featured like this. I’m proud to have quietly made it acceptable and coveted. This was my second feature of 3. Love Interest ” A lot of people think love songs don’t count,” says Jody Watley. “There’s a feeling that of you’re not singing about the homeless or the environment, you’re not singing about anything that matters. : But, the stunning dance diva explains, “The environment at home is what we bring into the world and we need to look at that before we can solve our other problems.” On her new album “Affairs of the Heart”, Watley is trying to weave her social concerns into the kind of infectious love songs that have filled two platinum albums and won her a 1987 Grammy Award for Best New Artist. Jody Watley. Christos Garkinos. Harper’s Bazaar. Fendi Resort 2013 Reception. 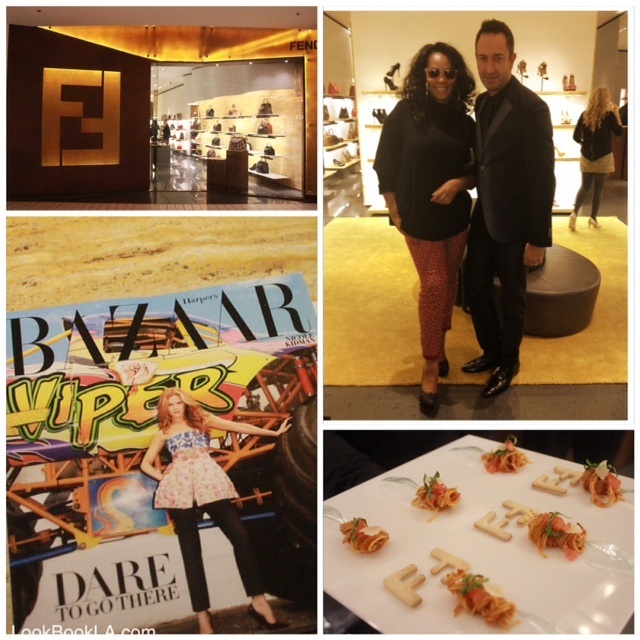 Attended a casually chic cocktail reception at Fendi, The Beverly Center in Los Angeles. Christos Garkinos of Co-Owner of Decades, Avril Graham Executive Fashion and Beauty Editor of Harper’s Bazaar, and Carlota Espinosa CEO and Co- Founder of Styloot.com were co-hosts presenting Fendi Resort 2013. 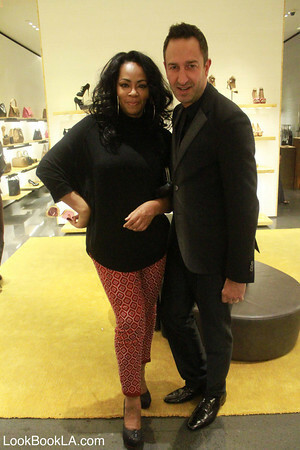 Jody Watley and Christos Garkinos, Co-Owner of Decades. 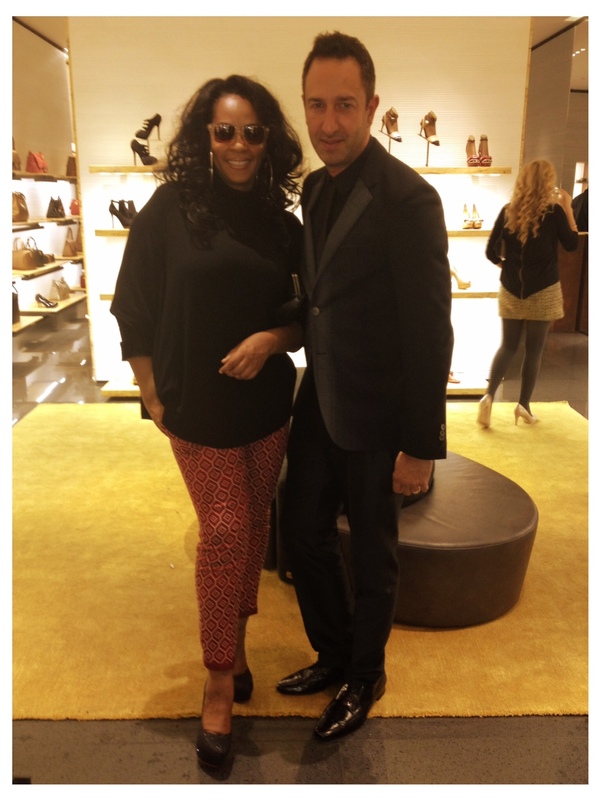 Upper right photo: Jody Watley and Christos Garkinos.